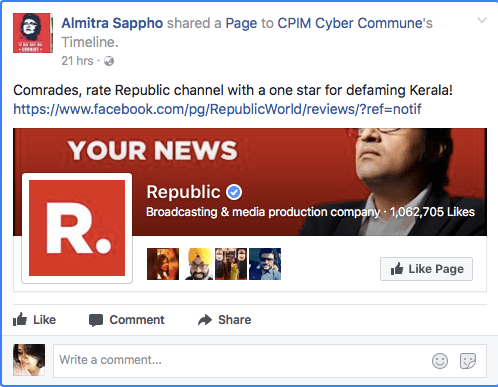 In what seems like a targeted cyber attack to down vote Republic TV’s ratings, social media warriors have rolled up their sleeves and are out and about giving 1 star rating and negative review on Republic TV’s Facebook page. 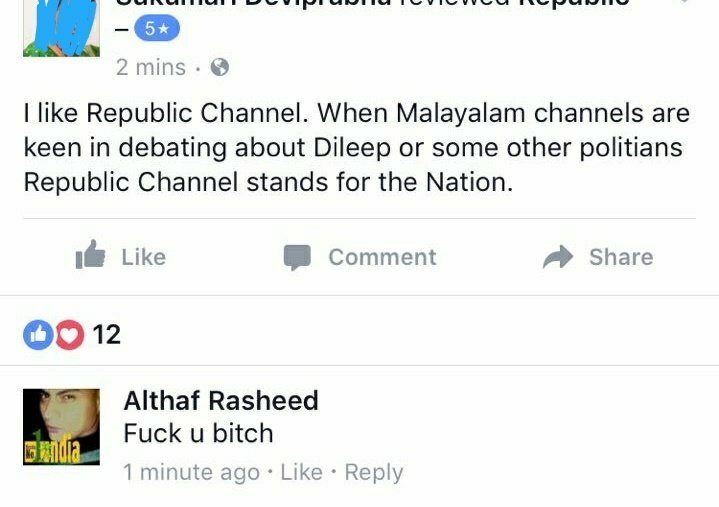 While it is unclear where it originated, but it seems Republic TV has reported something which has offended Kerala Leftists who have come down all guns blazing at Arnab. This was also shared by various troll groups. 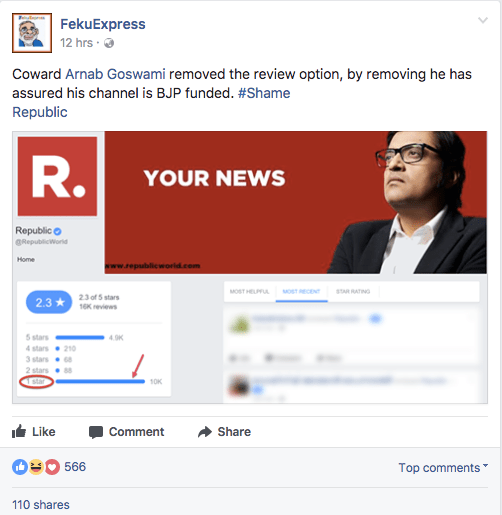 One point agenda to down vote Republic TV’s Facebook page. This is not the first time cyber warriors have taken to social media to “teach someone a lesson”. Earlier too, some people have taken to social media and down-voting apps when they do not agree to their views. Idiot troll army attacks my Indira book within mins of Amazon announcement. Sirs, book takes at least a day to deliver, at least read it! 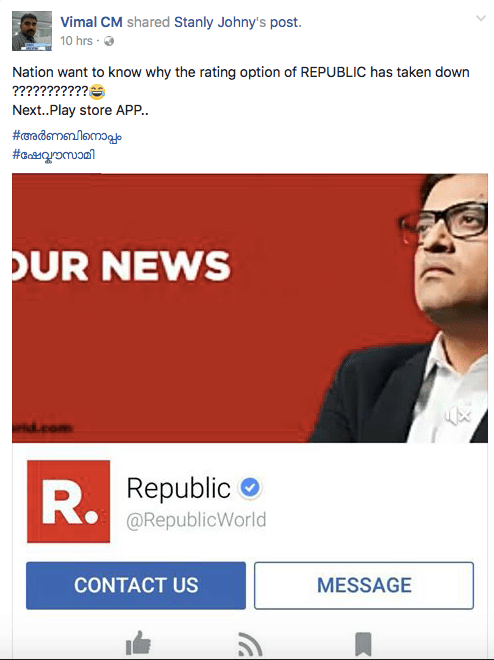 It remains to be seen whether this bullying of Republic TV too results in a similar outrage and whether these negative reviews are dubbed as an “attack on the media”.